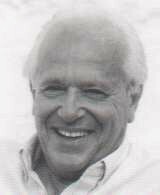 Luigi Luca Cavalli-Sforza known to his students and colleagues as Luca passed away on August 31, 2018. He was 96. He was a legendary intellectual and a professor of Genetics at the Stanford University Medical School. The press release from the Stanford University summarized his contributions to science. He was a pioneer in blending anthropology, genetics and linguistics to gain insights into the human migration patterns. I have discovered Cavalli-Sforza when I read his book “Genes, Peoples, and Languages.” My main interests are spiritual philosophy, metaphysics and physics but I am also very interested in Linguistics. I was so inspired by his book “Genes, Peoples, and Languages” that I have spent almost two years reading papers in population genetics. I learned a lot but I never wrote about it. I have also spent an inordinate amount of time studying the mystery of human origins. I was obsessed about this subject for a while but never wrote about it either. Cavalli-Sforza’s immense contributions to science will be remembered. This entry was posted in linguistics, science and tagged Luigi Luca Cavalli-Sforza. Bookmark the permalink.